Perry is one of 47,000 people who ride Louisville’s public buses every day. And for him, the commute works: Amazon is one of a few major employers in the Louisville area served directly by a bus line. Perry said that was key for him, because he doesn’t have a car. But he’s happy with his job at Amazon; it pays $12.25 an hour, and the company is paying for him to get his commercial driver’s license. But for those who rely on the Transit Authority of River City — or TARC — planning a daily commute often means factoring in hours of additional travel time, roundabout bus routes and varying schedules. It also means these workers are restricted to living, working and shopping in areas served by buses. Using the interactive map below, compare your destination by bus and by car. And considering that recent data from the Greater Louisville Project found Louisville workers living in poverty are four times more likely than others to rely on public transportation, this reliance ends up translating to fewer economic prospects for those already living in poverty, and fewer opportunities for advancement. Russell resident and sports talk radio host Haven Harrington said sometimes people turn down job opportunities if they don’t have the right transportation options. Other factors, such as needing to pay for extra hours of childcare to cover a long commute, can make a distant, low-wage job less attractive too, he said. Louisville has pockets of concentrated poverty in its west and south ends, according to the Greater Louisville Project. Eastern enclaves such as Newburg and Buechel are also affected. But a multidimensional poverty index that looks at factors like income, health and employment shows that two of the poorest areas are in Louisville’s Russell and Portland neighborhoods. And their surrounding neighborhoods in West Louisville, like Shawnee, Chickasaw and California don’t fare much better. West Louisville residents are much more likely to rely on public transit and much less likely to have cars of their own, said Eric Burnette, the director of labor market intelligence at KentuckianaWorks. He looked at five-year Census data specifically for West Louisville neighborhoods, and found some trends in how residents get to work. Perhaps the most striking statistic is that people from West Louisville are more likely to have longer commutes than people in other areas of the city. And that’s despite those workers being less likely to work outside Jefferson County. In general, the city’s poorest neighborhoods are in the urban core and served by TARC. But based on routes and scheduling, it can take well over an hour for someone in a neighborhood like Portland or Parkland to get to a job at one of the region’s major employers. 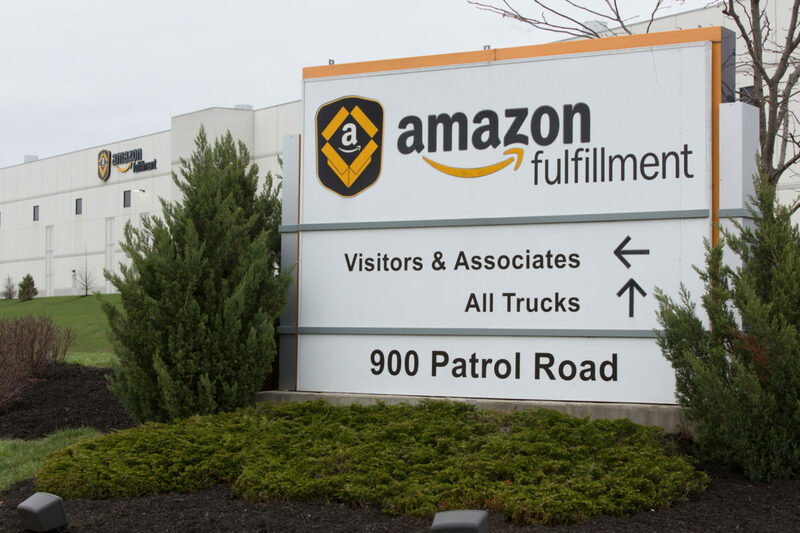 Those include the Riverport in southwest Jefferson County, across the river at the Amazon fulfillment center, at GE’s Appliance Park in Buechel or way out east at Ford’s Kentucky Truck Plant. Commuting by car can, in some cases, take half the time. TARC executive director Barry Barker said he’s seen development move away from the city center. And he said that includes large employers, as well as the lower-paying retail jobs at malls and big box stores. “What we’re very conscious of is getting people access, getting people an opportunity to hold down a job,” he said. Barker said he wants TARC to help people participate in what the community has to offer, but expanding routes and frequency would require more money — and TARC is already having to work hard to get the funding it needs to maintain its current level of service. Updates to TARC, including transit cards that only need to be tapped to subtract a fare and the planned bus rapid transit route on Dixie Highway, will speed up commutes up for some. But Barker said a “significant amount” of people have to transfer lines on their way in and out of the city — which adds a lot of time. He said the level of service offered today is not enough. And if TARC’s funding comes under threat, it could have real consequences. 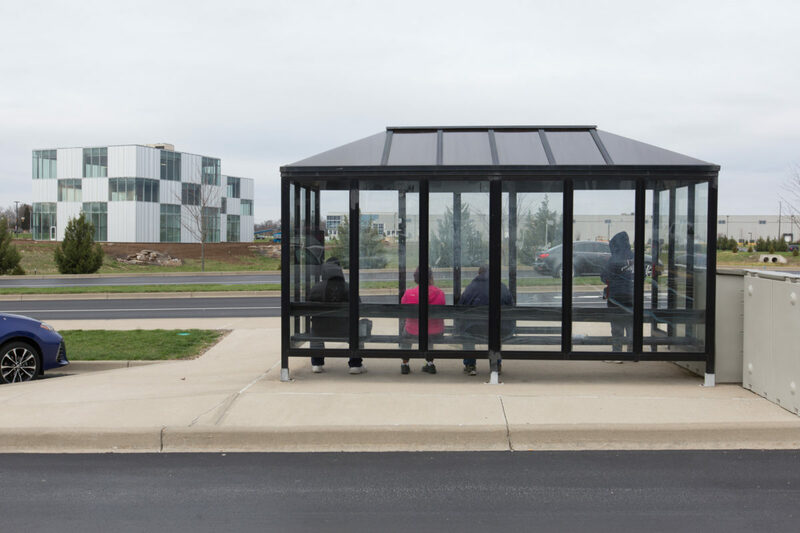 TARC will soon embark on a two-year “comprehensive organizational analysis” of its service that Barker hopes will make clear what TARC riders want. The agency will hire outside consultants to start in late April. 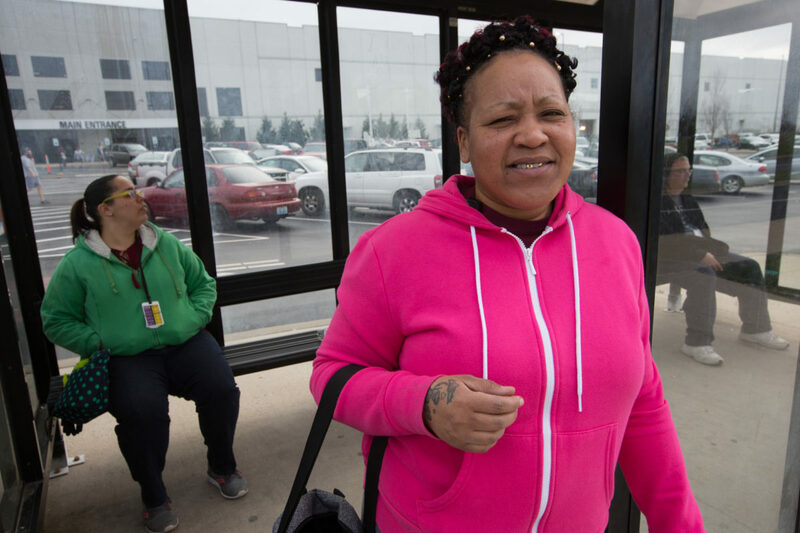 While TARC is working to increase service across the whole system, some area employers have been successful in getting bus lines extended to their facilities. It’s a way for them to access workers who live further away, which is especially important when the unemployment rate is low, as it is now. On the warehouse floor at Radial, an e-commerce fulfillment company, workers pull Bath and Body Works products from expansive shelves, following audio commands from their headsets. They use machines to sort and pack them into boxes. From there, the goods will be shipped off to customers. The company occupies nearly one million square feet of warehouse space in three buildings at the Riverport in southwest Jefferson County. Troy Heavrin is Radial’s senior facilities manager. He was part of a group that pushed for a TARC route that now connects the Riverport to Dixie Highway. So if people don’t have a way to get to the Riverport — whether by car or public bus — it makes it difficult for them to work at Radial. 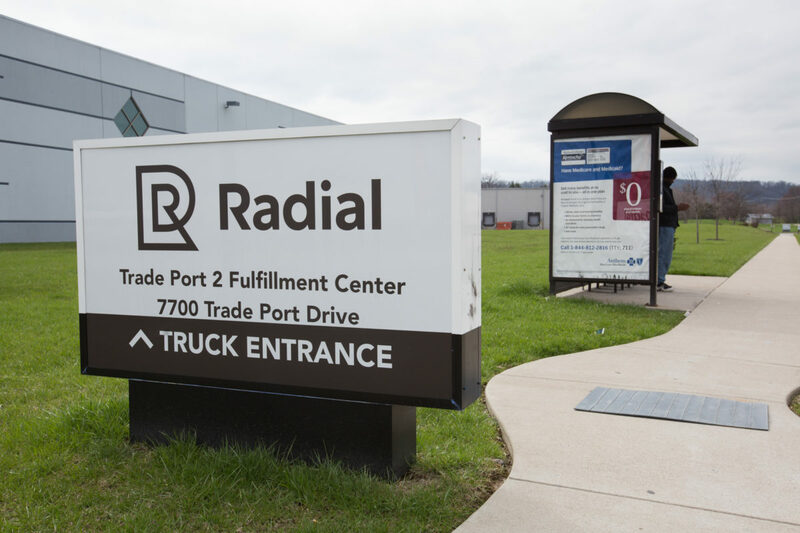 And there are lots of jobs in that area; Radial has about 600 full-time employees, and gets up to 2,500 when it bulks up with seasonal workers during the holidays. All together, companies at the Riverport employ more than 6,000 people from the region. Heavrin said about half of Radial’s workers come from the three closest ZIP codes. A much smaller group comes from the western part of the city, including the city’s poorest neighborhoods of Russell and Portland. That new Riverport TARC route started last November, funded with a two-year, $2.5 million federal grant. The city’s 20-year Move Louisville plan attempts to address some of the gaps that slow down people’s commutes today. For example, it names East-West transit corridors connecting Dixie Highway to Westport Road as a priority project. Both of those roads are currently major TARC arteries, but connecting between them is challenging and usually involves taking a bus downtown to transfer. The report estimates implementation of the East-West corridors will cost half a million dollars, and will take another $5.2 million a year to run. In the meantime, workers all over Louisville are still relying on the current bus system. And it’s pretty affordable — only $1.75 a trip. Some commuters say the affordability of TARC makes the time investment worthwhile. Vernessa Graves works in the Amazon warehouse and commutes using the 71 TARC bus. She lives off Dixie Highway in Shively with her 12-year-old son, and commutes about an hour each way. She has three grown children as well. Even if she had a car, she said she would ride TARC to save money on gas. Graves said she loves her job, which pays $13 an hour. It’s less stressful than other jobs she’s had, and she has great managers. Plus, she’s finally at a stage in life when a long commute doesn’t stand in the way of her ideal job. Graves said she likes being able to take TARC to work. In fact, she said she would not be able to work at Amazon without the bus. But for people in the county who just can’t make the bus work — whether because of location, employer, or factors like childcare, others are filling the gaps with vanpools. Stacey Burton runs the Ticket to Ride program for the Kentuckiana Regional Planning and Development Agency. She said the service, which matches commuters traveling similar routes at similar times, helps fill some public transit gaps. In some cases, a Ticket to Ride vanpool can be more expensive than TARC. But the higher price comes with a benefit: vanpools travel at the average speed of traffic. Burton said most vanpools go to Frankfort, a commute that can’t be done on TARC. She said Ticket to Ride has about 1,500 registrants across Jefferson County. Of those, about 80 live around Russell or Portland, according to the ZIP codes they provided. They work at companies including Hollander Sleep Products near Jeffersontown, Fort Knox and the Toyota plant in Georgetown, Kentucky. When people register for Ticket to Ride, Burton said the system also lets them know about TARC routes that may work for their commutes. She said together, ride-sharing and public transit can put more job opportunities within reach. “If all of us were relegated to working within a comfortable walking distance of where we lived, a lot of us would be either unemployed or underemployed,” she said. Lisa Thompson, chief impact officer at the Louisville Urban League, said expanded public transit would eventually benefit the city. But getting low-income people into reliable car-ownership might be a more practical near-term solution. “A lot of people are one flat tire away from unemployment, then that can cause housing insecurity, it can cause tremendous stress in families,” she said. Thompson said nonprofits and government can work together to offer more solutions to people who don’t have access to reliable personal or public transportation options. She suggests mirroring the ways groups help folks become homeowners, through downpayment assistance or supportive financing. Because when you have to use public transportation or rely on others for rides, that’s limiting. Ultimately, Thompson said people shouldn’t have to choose between the job they want — and the job they can get to.